¡Celebramos! This chapter is focused on holidays. 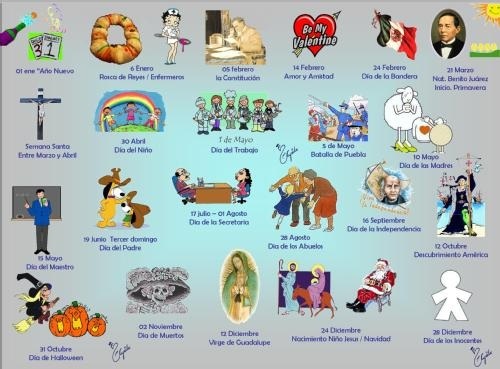 We will learn how to say the holidays that are celebrated in the U.S. and students will have the opportunity to research a Spanish/Latin American holiday and will present it to the class. Días Festivos Vocab Jeopardy! Great way to review what you might not remember!